Without visitors to your Amazon listings you have no sales. In the early days of Amazon you could put just about anything up and it would sell. However, as the power of Amazon has spread into every corner of retail, most product categories are crowded and competitive. Getting eyeballs on your listings and showing up on the first page of results for your relevant keywords can be very challenging to say the least. 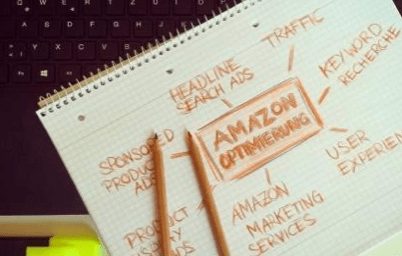 There are many ways to increase traffic to your Amazon listings. The trick is to do so in a manner that drives qualified traffic that converts and is cost effective. Just like ranking for keywords in Google Search Results, keyword ranking is just as important and powerful on Amazon. Amazon also offers many different paid programs that are designed to help drive traffic to your amazon listing. Last but not least, there are many off Amazon sources of traffic that are not to be ignored, like Social Media, Google and your own Email List. It cannot be understated the importance of keyword ranking on Amazon and the effect it has on traffic to your listings. Keyword ranking is for most sellers, the #1 source of traffic to Amazon listings. There is a lot that goes into keyword ranking on Amazon just like keyword ranking for Google search results. To rank high on the first page of Amazon search results for your products keywords, you need to focus on your products; Title, Seller Name, Backend Keywords, Product Description, Bullet Points, Price compared to similar products, Conversion Rate, High Quality Images and of course reviews, both quantity and quality. Amazon has 3 main, options to promote your individual listings through paid advertising solutions. In Seller Central, go to Advertising>Campaign Manager. Here you can build keyword targeted campaigns that put your listing in front of customers who are searching for your product. It’s best to start off with Amazon “automatic” targeted listings. This is where you just set a default bid and Amazon decides when to show your ads. After about a week you can download a report that shows what keywords were triggered and how many impressions, clicks and conversions you received from each session. Armed with this data you can then create a “manual” targeted keyword based campaign and strategically bid higher on converting keywords. Once you have a list of manually targeted keywords and a few weeks of clicks and conversions, you can optimize your bids based on your Cost of Sale Percentage. If you have a high margin product you may be able to spend more for each sale. However if you sell a high volume, low margin product, your cost of sale needs to be much lower. Amazon offers an incentivized review program. Advertising>Early Reviewer Program. However, this is only available for products that have very few or no reviews. If you are approved, your offer will go out to Amazon approved reviewers. Each enrollment costs $60 plus any applicable taxes. An enrollment covers all SKUs in a parent SKU family or stand-alone SKU. You do not have to enroll children SKUs individually. Amazon will charge you the $60 fee once you receive your first review through the program. That is the only time a fee is charged for that SKU, whether you receive one review or five reviews. If you receive no reviews, you will not be charged. . Product reviews ultimately help generate traffic. Reviews are king! You can find this in your Seller Central Login under Advertising>Lightning Deals. A Lightning Deal is a time-bound, promotional offer where a product is featured for several hours on the Amazon Deals page. You can use the Lightning Deals Dashboard to submit Lightning Deals for a fee. All proposed Lightning Deals require Amazon approval to run on the Amazon Deals page. The bump in traffic and sales you receive to your product page as a result of running a Lightning Deal can vary greatly depending on your product category, discount and seasonality. Cost: You will be charged for each Lightning Deal that has been submitted and has successfully run. The fee is displayed next to the submit button when you create a deal. The fee to run each lightning deal has many variables, like when your deal runs, country the deal runs in etc. The fee for your Lightning Deal might change depending on the date on which your deal runs. The weeks with higher fees are a time period during which customer traffic to Amazon is significantly higher, leading to greater exposure and potential sales for your deal. If your deal is scheduled during this higher traffic time period, you will be charged a higher fee. Amazon does not post a fee chart for lightning deals; you have to go through the process for setting up a deal to find the fee. If you are unsatisfied with the resulting fee, you can cancel the deal (with no penalty) up to 25 hours before the deal is expected to run. Amazon typically charges about $150 per lightning deal, but can go as high as $700 during peak times. Social Media is a great way to drive traffic to your Amazon listings. If you are savvy enough to create a following for your brand on social media, you can add links in your posts about your product. When your followers view your post they can click directly to your Amazon page. If you do not have a large following yet on Social Media, all social media outlets offer paid advertising opportunities. Start small, use spend caps and flight dates. I recommend testing for 2-3 days at time and setting an end date so the ads will turn off automatically. Setting the ads to turn off automatically is just a little fail safe “hack”. If you “set it and forget it” and do not come back to check on it for a week or two, it could easily spend large sums of money. By using spend caps and flight dates; most systems will notify you when the flights have ended or spend caps have been met. Once that happens you can log back in and analyze the results, optimize based on data and reset the spend caps and flight dates until you zone in on what is working well for you. Once you find the right balance, you can set higher spend caps and longer flight dates. In general utilizing the controls in ad systems like these, offers busy sellers just a little more control and peace of mind. Just like paid ads via Social Media channels, you are probably familiar with Google advertising if you are reading this article. Google search will allow you to target by keywords based on user search behavior. Google Display allows you to target by demographics and even retargeting. Again keep an eye on spend caps, bid caps and flight dates. You can easily spend a LOT of money if you are not careful. A pro tactic is to generate interest in your product before launch by creating an email capture landing page. Depending on your product, you could do a giveaway, a quiz or some other type of promotion. Basically anything that will encourage the user to give you their email address. Once you have a large enough list, you can market to them through an email platform like Mailchimp or ConstantContact directing users to your Amazon product listing page. As you can see, there are many ways to increase traffic to your Amazon listings. The trick is to do so in a manner that drives qualified traffic that converts and is cost effective. Whether it’s through paid promotions in Seller Central, Social Media, Google or your own Email List, try them all, test and scale up the ones that produce the best results. Good luck! I read this content like Amazon ranking . I got more knowledge that content . I start new salon business new your k.
thanks you share your experience.